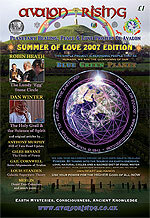 Gathering Details in the works..
Avalon Rising – Past Festival Talks Schedules now available! Avalon Rising Back Issues Online! I’ve been steadily working through our content, and time travelling at the same time! We have done an awful lot over the years, but I think our back Issues are still worth a read today! Please have a look, Our last issue is now available in PDF! Enjoy! Lao Tzu in da house..
Avalon Rising ~ Essence of The Green!